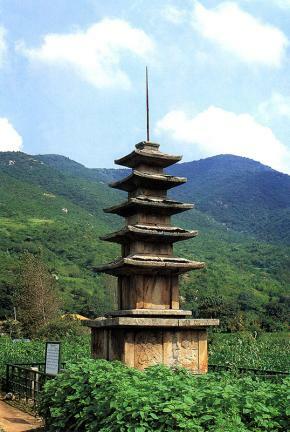 보원사(普願寺)터 서쪽의 금당터 앞에 세워져 있는 고려시대의 석탑이다. 보원사는 백제 때의 절로 사찰에 대한 역사는 전혀 알려지지 않았으나, 1959년 국보 제84호인 서산 용현리 마애여래삼존상이 발견되면서 학계의 관심이 모아지고 있다. 절터에는 이 탑 외에도 서산 보원사지 법인국사탑과 탑비, 당간지주, 석조 등이 남아있어 당시 사찰의 규모가 매우 컸음을 알 수 있다. 이 탑은 2단의 기단(基壇) 위에 5층의 탑신(塔身)을 올린 형태이다. 아래기단 옆면에는 사자상을 새기고 윗기단 옆면에는 팔부중상(八部衆像)을 2구씩 새겼다. 8부중상은 불법을 지키는 여덟 신으로 통일신라와 고려에 걸쳐 석탑의 기단에 많이 나타난다. 탑신에서는 1층 몸돌 각 면에 문짝 모양을 새겼으며, 지붕돌은 얇고 넓은 편으로 온화한 체감률을 보이고 있다. 지붕돌이 넓어진 것은 백제계 석탑 양식을 모방한 것으로 옛 백제지역의 특색이 잘 나타나 있다. 꼭대기에는 네모난 노반(露盤:머리장식받침)이 남아 있고 그 위로 머리장식의 무게중심을 고정하는 철제 찰주가 높이 솟아있다. 이 탑은 세부조각이 형식적으로 흐른감이 있으나 장중하고 안정감이 느껴지는 고려 전기의 우수한 석탑이다. 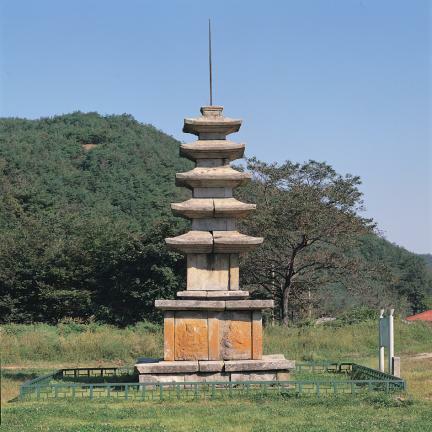 This stone pagoda, which was built during the Goryeo Dynasty, stands in front of the main hall at the site of Bowonsa Temple. 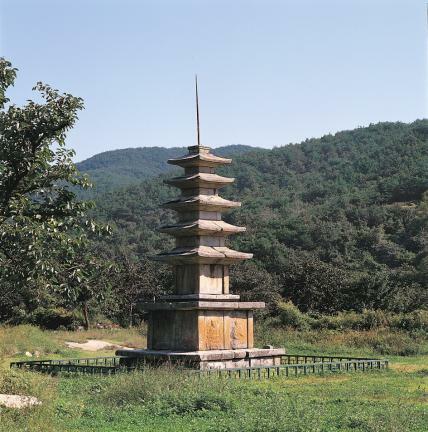 Although little is known about Bowonsa Temple, which is believed to have been built during the Baekje Dynasty, it has attracted great interest from academic circles ever since the Rock-carved Buddha Triad in Yonghyeon-ri, Seosan (National Treasure No. 84) was found at the site in 1959. 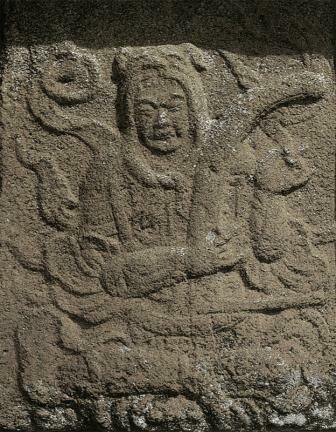 The site also contains the stele and stupa built to commemorate State Preceptor Beobin, along with flagpole supports and a stone basin. 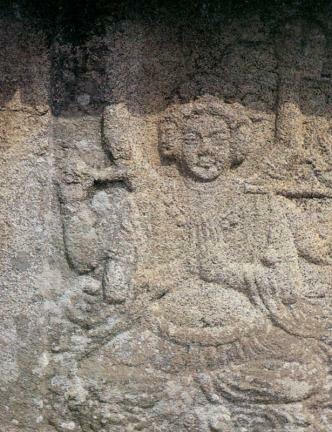 Judging from the relics found at the site, the temple must have been huge. 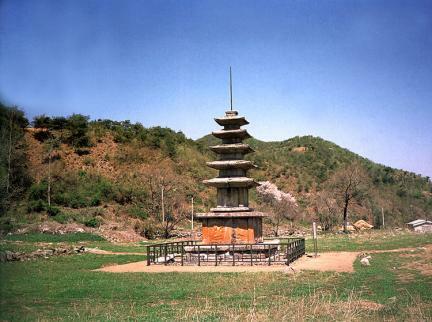 This five-story stone pagoda was erected on a double-layered stylobate. 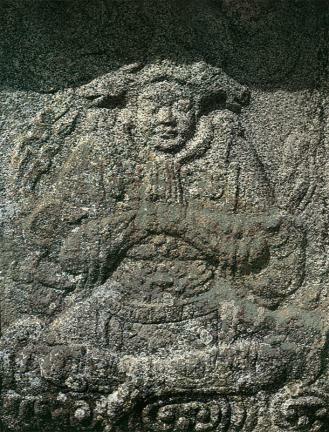 Two faces of the lower layer of the stylobate are carved with lions, while two faces of the upper layer feature two figures of the Eight Guardian Deities. 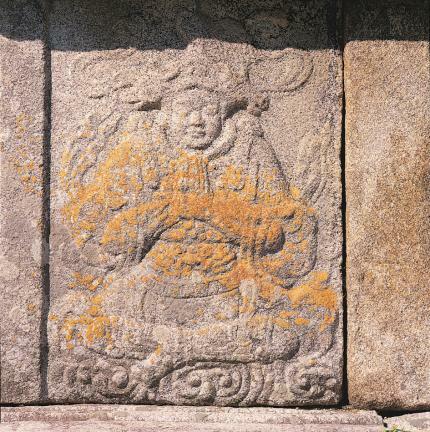 The Eight Guardian Deities, protectors of the law of Buddha, were a common feature of stone pagodas built during the Unified Silla and Goryeo Periods. 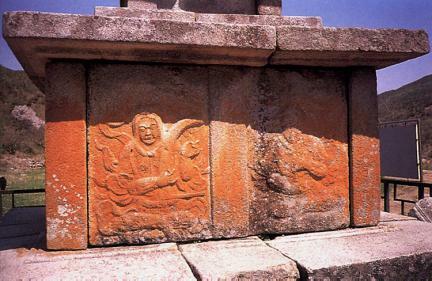 The core stone of the first story is decorated with door designs, while each roof stone is thin and wide, and tapers in size smoothly. 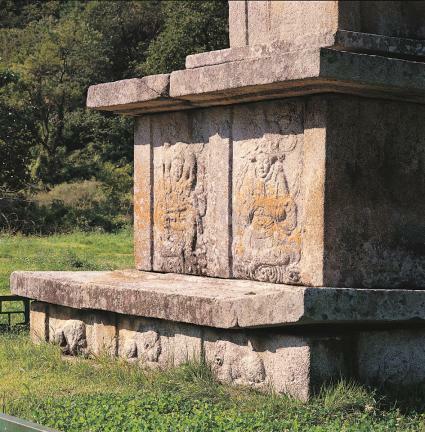 The wide roof stones are modelled on those of Baekje stone pagodas. 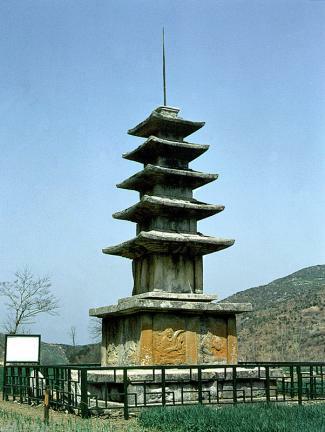 The remains of the upper part of the pagoda include the finial base and an iron rod which was used to secure the ornaments of the finial on the very top of the pagoda. 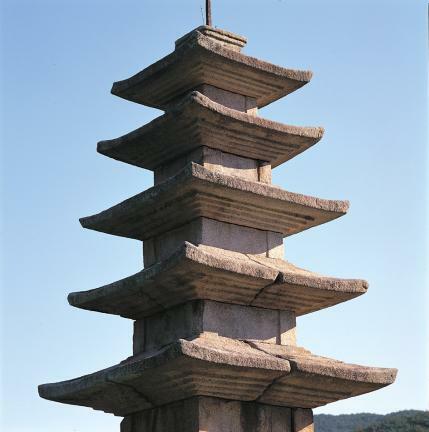 This outstanding stone pagoda of the early Goryeo Dynasty is rather formally carved, and gives an impression of gravity and stability.